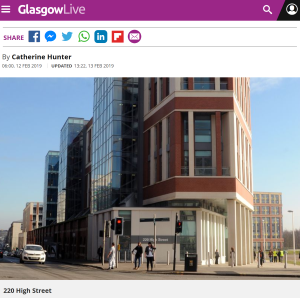 The local authority, Glasgow City Council, has issued a 10-year vision that strives to reimagine Glasgow as a world-class city and bring derelict buildings back to life. Derelict buildings in Glasgow will be brought back to life as part of a 10-year initiative which is being implemented across the city. Glasgow City Council will work with the community as they deliver facilities which are fit for purpose, protect the city’s heritage, re-use neglected land and empty buildings and open up ownership to the public and other bodies. The local authority has issued a 10-year vision, as part of the property and land strategy, which strives to reimagine Glasgow as a world-class city, where everyone can benefit from a thriving and inclusive economy. The aim is to get the best from Glasgow’s assets so they deliver value for money and generate income to ensure that essential front line services are protected. The plans were discussed at the city administration committee last week. Councillor Jon Molyneux said: ‘I really welcome this piece of work. I think it is important. It is striking how many strategies this delivers against and following on from that. There is a balance between looking at things like use of vacant and derelict land whether that is used as open space or housing.’ Members unanimously agreed to implement the strategy.